Careers in environmental protection involve jobs that help reduce the negative environmental impacts of today's actions, restore damaged ecosystems to health, or build sustainable ways of life for the future. Fifty years ago, most of today's environmental careers did not exist. Today, the field of environmental jobs is one of the fastest-growing job markets; there are more than one hundred environmental-protection careers to consider—ranging from environmental law, politics, journalism, and education, to highly technical and scientific jobs in such fields as environmental engineering, biology, chemistry, and architecture. What happened to create so many new jobs in environmental protection? The environmental movement happened. During the past half century, American society began to adopt a new set of environmental values. The public also started to explore the idea that people could often save money—and sometimes even make money—by protecting the environment. As a result of the environmental movement, environmental advocates and legislators worked together to create a large infrastructure of environmental laws and regulations to protect the environment and human health. New regulations called for policymakers, lobbyists, citizen monitors, attorneys, managers, and conservationists to make and enforce new policies. Scientists, engineers, and other specialists were enlisted to study problems and develop and implement solutions to problems such as oil spills, air pollution, landfills, and contaminated ground water. As new technological advances were developed to combat ongoing crises, new environmental occupations emerged. By the beginning of the twenty-first century, over $400 billion was spent annually worldwide on environmental protection, supporting hundreds of thousands of interesting jobs. public relations, environmental journalism, or nature interpretation—or in some other communications specialty. Some of today's hottest careers are in environmental sciences, environmental law, environmental business, conservation, environmental engineering, environmental communications, environmental lobbying, and the social sciences. Yet, like any job, the demand for experts in any field of environmental protection can rise or fall. Environmental research is conducted by scientists and science technicians who study all aspects of the environment. Zoologists study all animals. Their research focuses on life processes, diseases, behavior, and other features of the animal world. Microbiologists study the growth and characteristics of microscopic organisms such as bacteria, algae, and fungi. Ecologists study the interactions between organisms and their environment. Environmental communications specialists are responsible for communicating knowledge about the environment to the public, the government, and private businesses. Environmental outreach specialists can be found teaching in schools, helping firms understand environmental goals, interpreting nature at state parks, writing for publications, and lobbying legislators. Environmental educators teach the public about the environment. Environmental educators are hired to work in schools, nature centers, and in industry. Environmental journalists report on environmental issues. They are hired to work for magazines, newspapers, journals, television, and radio. Some work for environmental advocacy groups or organizations. Fund-raisers (also called developers) raise money for specific environmental causes. Fund-raisers are employed by private and government organizations. Conservation and natural resource managers maintain and manage natural resources. Some specialists are required to balance multiuse recreation with the preservation of natural resources. Sample Occupations. Foresters manage and protect forests so that both people and the environment benefit. Foresters oversee a multiuse system, including municipal watersheds, wildlife habitats, and outdoor recreation areas. They deal with fire protection, landscape design, municipal waste recycling, and the care of trees. Environmental engineers specialize in either preventing or cleaning up pollution or environmental emergencies. Engineers who work to prevent pollution look for and help defend against potential sources of damage to the environment. Engineers who specialize in cleaning up accidents decide how to clean up environmental problems quickly and efficiently. Engineers are called upon to resolve complex problems such as oil spills, hazardous waste, and polluted lakes and wetlands. Geographic information systems (GIS) specialists use computers to demonstrate interactions between human activities and ecological systems. GIS analysts are in demand at planning agencies, research centers, and consulting agencies, because these specialists can produce important data that is needed to make decisions. 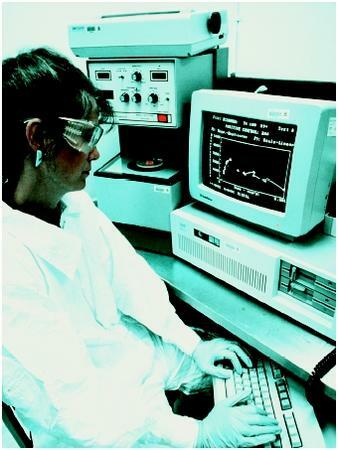 Air-quality managers do highly sophisticated monitoring, conduct chemical and statistical analyses, and perform computer modeling to determine whether industries are complying with air-quality regulations. They also conduct research to create new technologies to reduce air pollution. 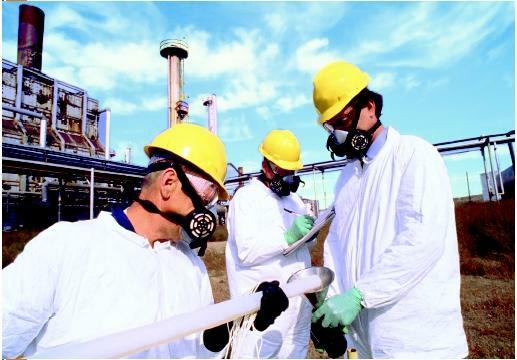 Hazardous-waste managers include environmental engineers, ground-water scientists, toxicologists, industrial hygienists, and other specialists who manage hazardous wastes. One of their prime goals is to reduce the generation of hazardous wastes. Solid-waste managers are environmental engineers, urban planners, business and finance managers, and other professionals who develop systems to manage solid waste safely. Water-quality managers include chemical, civil, environmental, and mechanical engineers, hydrologists, toxicologists, planners, and other professionals who reduce pollutants in lakes, streams, rivers, and wetlands. Professionals working in environmental policy, legislation, and regulation are responsible for developing and enforcing environmental regulations. Environmental attorneys and lawyers are experts in environmental law who help companies understand the complex environmental rules and regulations that businesses need to follow. Some environmental lawyers help the government create environmental policies and regulations. Environmental inspectors help the government inspect companies to make sure that they are complying with federal or local environmental regulations. Environmental planners and analysts are involved in finding ways to reduce damage to the environment. Jobs include: Environmental planners and environmental analysts. Environmental planners develop plans for specific communities to protect environmental quality. Environmental analysts research, identify, and analyze different sources of pollution to determine their effects on the environment and find alternative ways to handle projects in an environmentally sensitive manner. Most careers in environmental protection require some training or college-level education—and often graduate-level or professional training. Anyone interested in pursuing a career in this field needs to consider educational and training requirements carefully. Choosing the courses or a major for a career in environmental protection is not usually as clear-cut as it is for a career in law or medicine. However, many universities now have degree programs in environmental studies that allow students to explore many options. Also, many employers offer internships in environmental protection jobs; these internships offer students a chance to learn about specific jobs. Jobs in environmental protection can be found in both government and private organizations—many of which are not specifically environmentally oriented—as well as in industry. Here is a brief list of places to look for jobs in environmental protection. Most agencies have their own Web site with current job listings. The field of environmental protection is still new, so it is difficult to predict which environmental careers will have the greatest prospects in the future. New environmental regulations, new technologies, and new environmental crises may influence which jobs are in greatest demand. Universities are attempting to help students prepare for jobs in environmental protection by offering degrees in many areas of environmental studies. The Environmental Careers Organization. (1999). The Complete Guide to Environmental Careers in the 21st Century. Washington, DC: Island Press. The Environmental Careers Organization. Available from http://www.eco.org . Environmental Jobs and Careers. Available from http://www.ejobs.org . Aprofessor's challenge to do something about "those hippie students hanging out in Harvard Yard, making noise about the environment but doing nothing about it" led to the creation of a nonprofit organization that by 2002 had placed more than 7,500 college students in environmental internships. The Environmental Intern Program, founded in 1972 with a $3,000 gift, placed eleven interns in its first year. 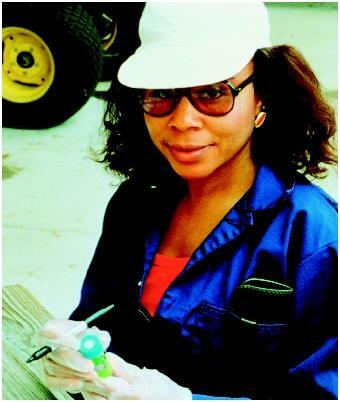 By 2001, now called the Environmental Careers Organization, the budget was some $15 million and ECO placed more than 750 interns at 124 sites in thirty states and three U.S. territories. For info and to apply, go to http://www.eco.org .